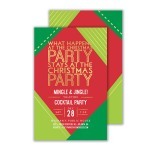 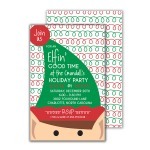 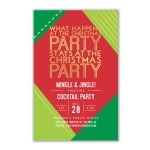 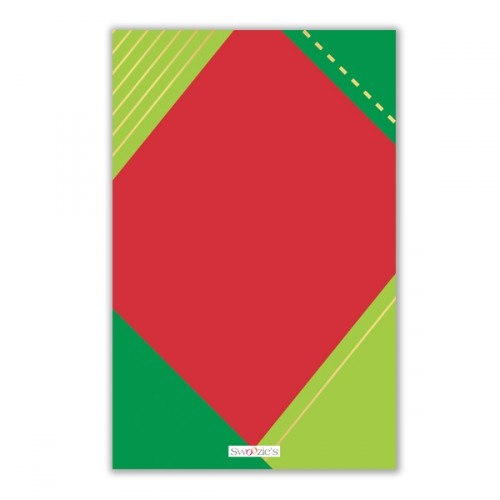 Diamond shaped colorblocks are accented by a variety of simulated gold foil patterns in red and green Christmas colors. 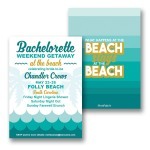 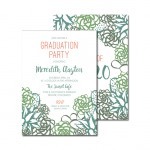 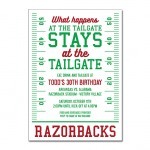 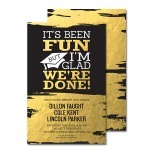 Personalize in the center of the invitations. 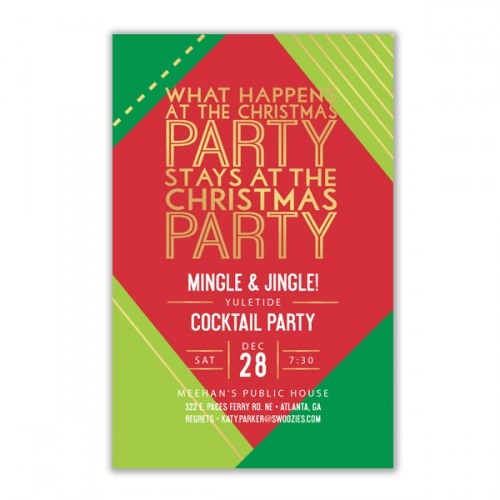 The phrase "What happens at the Christmas party stays at the Christmas party" is large and in simulated gold foil at the top.